Redmi Note 3 and Xiamoi Mi 5 are latest Android smartphone from the Xiaomi Mobiles. Both the new smartphones are available in the market and most of the users already bought the same and enjoying the new features of the phone. But some of the users who bought the phone’s form the Chinese market they can’t find the Google Play store on the phone. There are so many guides which you can use on your phone to install the Google Play store, you can check some of them here and here. 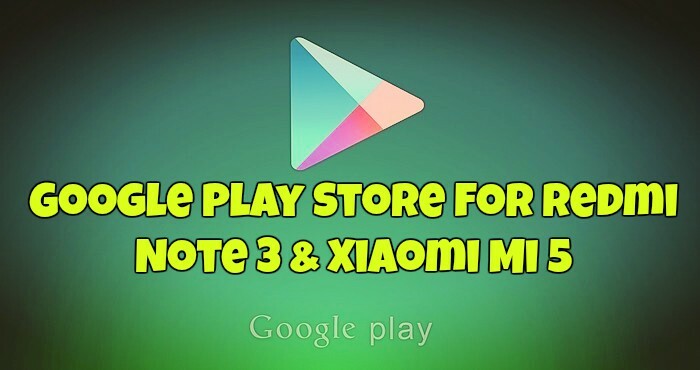 But today we are posting a new guide for the Redmi Note 3 & Xiaomi Mi 5 users who are looking for the method to install the play store on the phone, The guide is pretty simple and all you have to install some apk files on your phone and you are done. You can use this guide on any of the Xiaomi phones. Before even going any further, please make sure you enable your settings for installing a 3rd party APK files. Goto, Setting > About Phone> MIUI version and tap it, at least five times quickly. Now you will see the Developers Option on your phones setting screen. Now go to Settings > Additional Settings > Privacy>Unknown Sources, enable it. 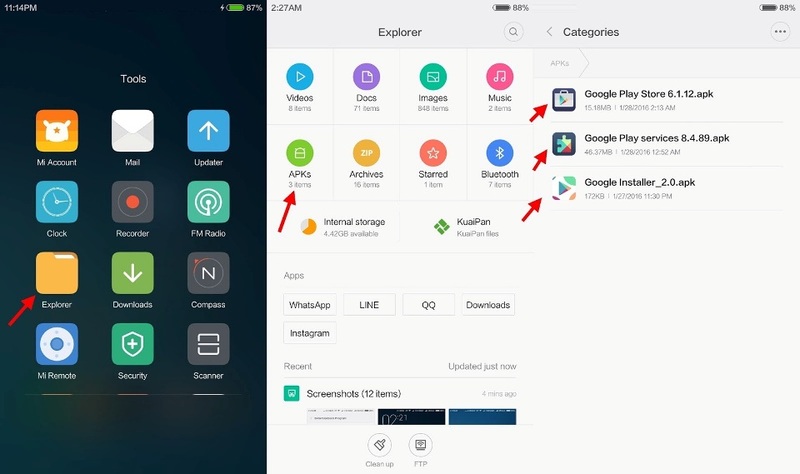 Now follow the below mention method to install the Google Play Store on Redmi Note 3 & Xiaomi Mi 5. Step 1. Visit this link and download the Google Installer_2.0 + GApp updates.zip file on your PC. Step 2. Now unzip the folder and transfer the Google Installer, latest Google Play Store and Google Play Services to the internal memory of your phone via USB connection. Step 5. 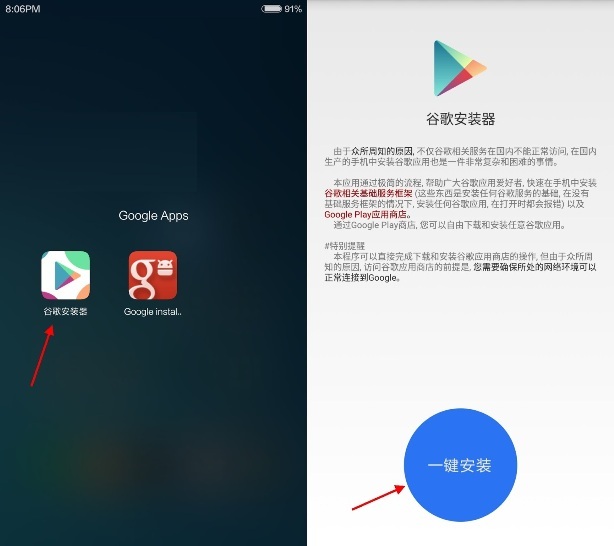 Once the installation process is complete you will see the Red Circle on your home screen. Step 7. After you are all done with the installation, reboot your device. I bought a Xiaomi Mi5 128GB/ 4GB version in China (I am in China at the moment). I installed the Google Play Store as instructed. It gets launched (after connecting to an USA VPN client as Google is blocked in China) and shows me the available apps (I searched for ICICI Bank). However, when I press ‘Install’ I get an error ‘Can’t download app’ can’t be downloaded. Try again and if the problem continues…………..(Error retrieving information from server. [DF-DLA-15]).